What a delightful day with Chef Thierry here at Hilton Kota Kinabalu to judge the Willy Wonka final round of the F&B Masters Pastry challenge. There are so many talents in the group where 4 finalists whip up 3 desserts (2 plates) each to get the crown. Their presentation were creative and tasty. 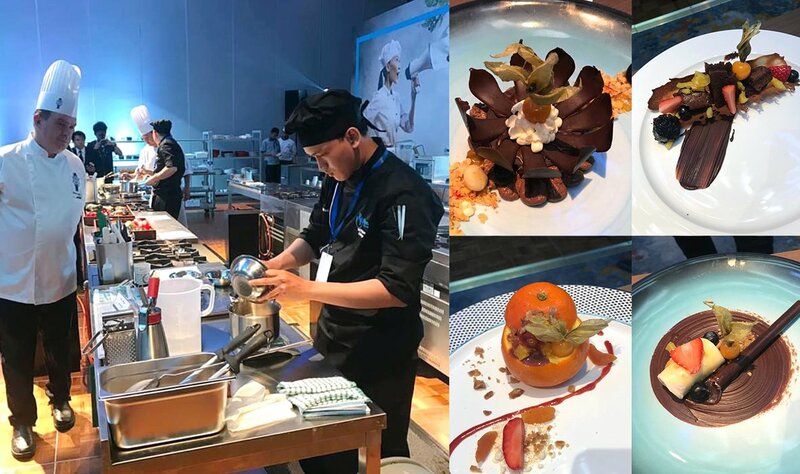 Finalists has the opportunity to attend a 1 hour class with Chef Thierry Lerallu after their challenge to learn some techniques and skills from Le Cordon Bleu Master Chef. Congratulations everyone you are a winner in your own right!